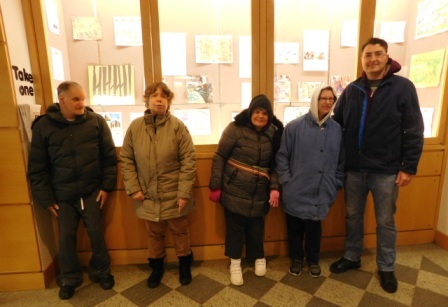 Art Work by Artists of GWArc was on Display at the Waltham Public Library During March! 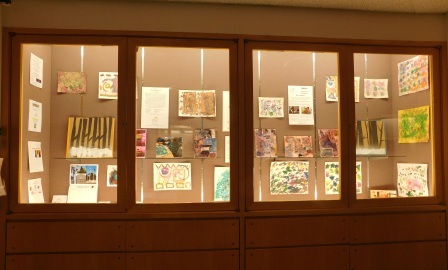 Hope you had a chance to visit our Artists of GWArc art display at the Waltham Public Library during the month of March! Participants from GWArc's Day Habilitation Program helped set up the art display. Left to right: Rich G., Cindy D., Michelle B., Mary Ann M. and Peter Cohn, Case Manager.